Our privately owned datacenter in Montreal, QC, Canada has been developed in order to maintain the highest level of redundancy and efficiency for our customers. The entire datacenter infrastructure is Tier 3 compliant. The requirements for a Tier 3 datacenter require us to maintain a high level of redundancy on different aspects such as power, cooling and telecommunications. In order to maintain the Tier 3 compliancy, we also have numerous security measures in place. The datacenter features N+1 redundant power supported by seven (7) state-of-the-art rotary-powered UPS diesel generators totalling 16 megawatts and more than 4,000 tons of air conditioning and a fully redundant and diversified internal datacenter network capable of OC192 or 9.6 Gb / second (over 100 km of internal fiber optic cabling). We take physical security as seriously as network security. Our datacenter has extensive security systems with CCTV video surveillance supported by over three-hundred (300) cameras, controlled access supported by proximity access cards and 24×7 on-site security guards. 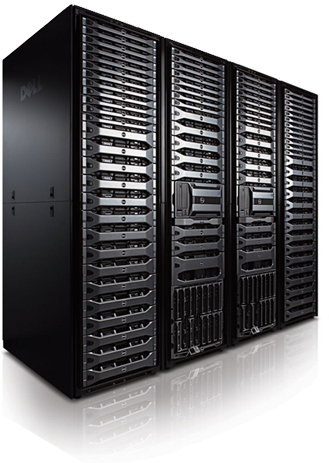 Our advanced datacenter allows us to roll out the latest technologies as they are released. The large and sophisticated infrastructure allows for future growth while leaving a big overhead for large usage spikes. The entire datacenter is powered by renewable hydroelectric energy. That makes us one of the rare datacenters with an extremely low environmental impact.